June 15, 2016 April 12, 2019 - The 'Noms. A perfect classic cocktail, check out the Boulevardier! Last week we posted a cocktail for Negroni Week called the Concord Negroni Flip, which was our twist on the classic cocktail the Negroni. Our next cocktail is another variation of the venerable Negroni, but this time a classic variation from 1927 Paris, France. 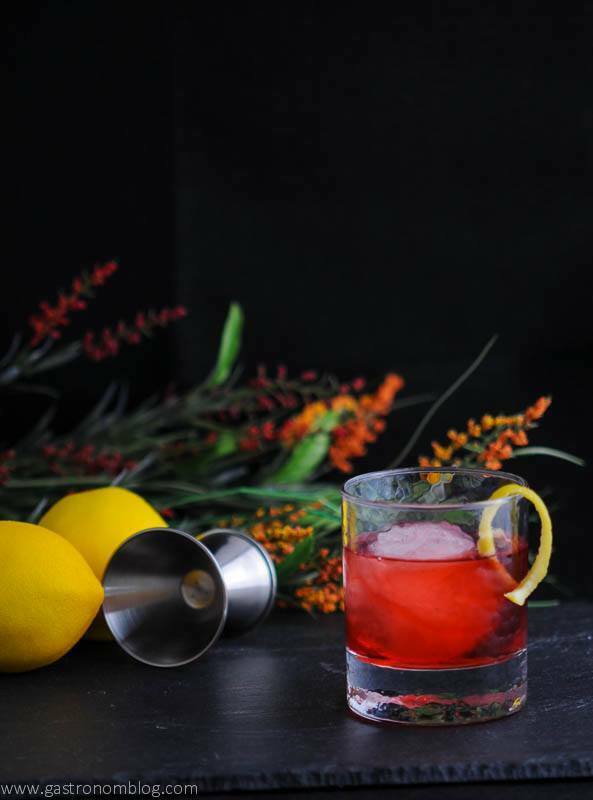 Originally credited to one of the regulars of the famous Harry’s New York Bar in Paris, the Boulevardier is an enduring recipe that fans of rye whiskeys are sure to enjoy. The Boulevardier takes the classic Negroni formula of equal parts gin, sweet vermouth and Campari and throws out the crisp gin and replaces it with the warming notes of a whiskey. Sweet vermouth is a well known pairing with rye whiskey, so it is no surprise that the rye and sweet vermouth are very complimentary. Where the surprise comes is how well the Campari works with the rye. Campari is a bitter Italian liqueur made from herbs and fruits and is typically used as an apertif. 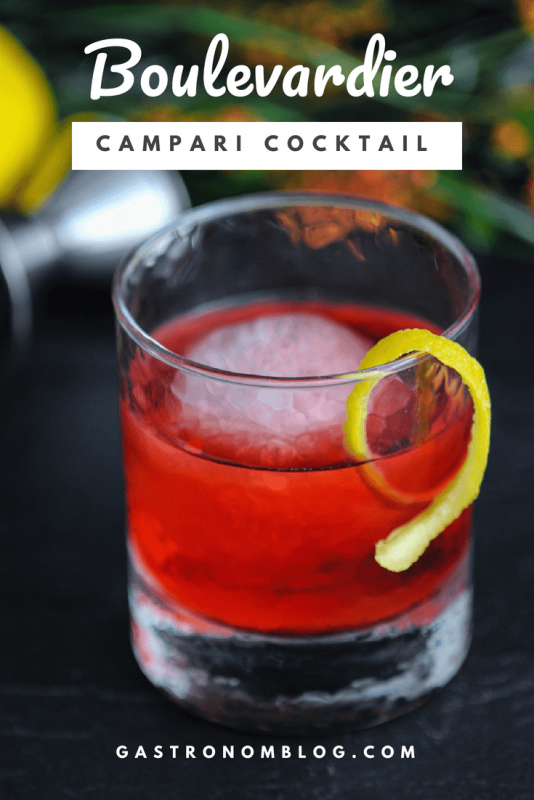 When used in the Boulevardier, bitterness of the Campari remains, but the sweet warm notes of the rye whiskey makes the Boulevardier a more velvety and sustaining drink than the Negroni. The Campari and vermouth combine to make a bittersweet component that balances the sweetness of the rye. What Ingredients are Needed for the Boulevardier? 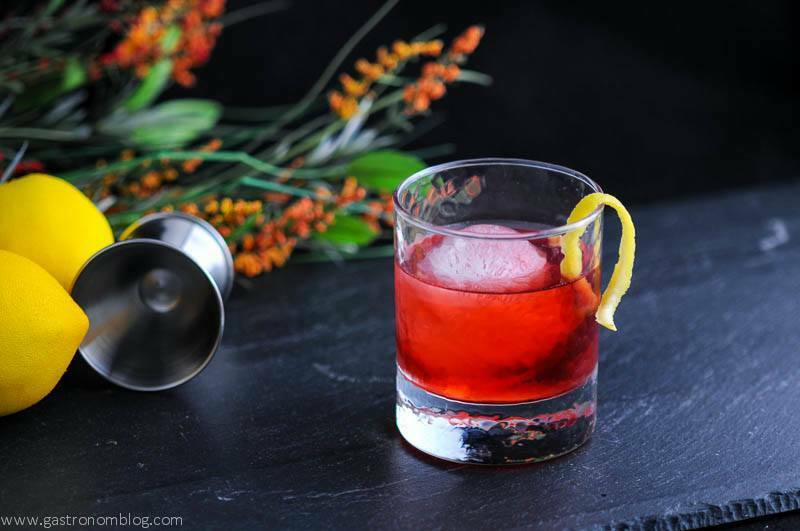 The Boulevardier is a cocktail for a whiskey lover or fans of strong classic cocktails where the flavor of the spirits isn’t hidden. 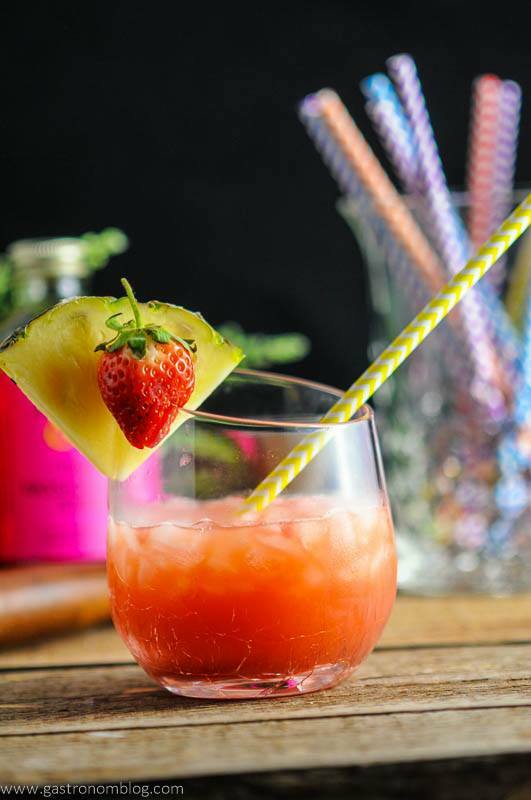 All of the components are strong by themselves, and when combined the flavors are complex and bold and sure to challenge the taste buds of the drinker! 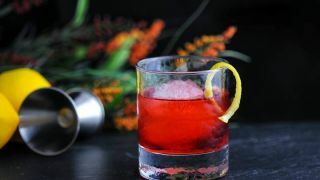 Like the flavors, the drink has a bold red color from the vermouth and the Campari, making the drink boldly attractive. 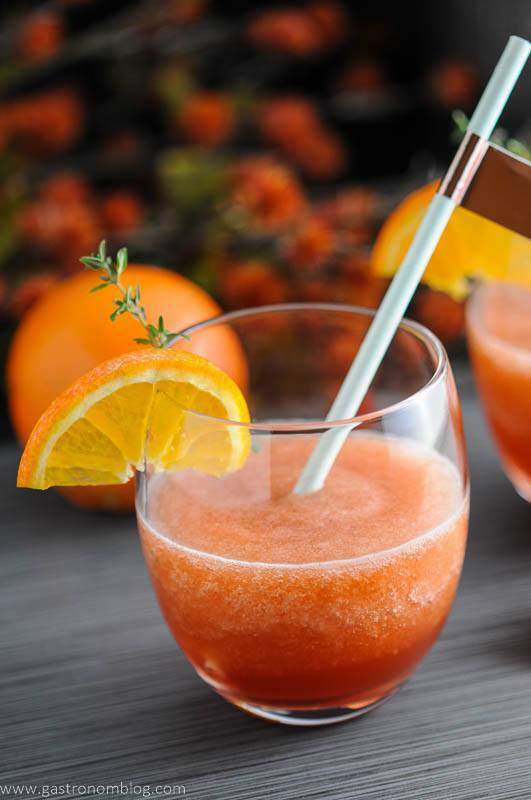 A classic cocktail, that will pack a punch! 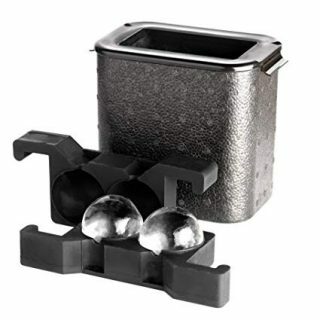 In a rocks glass, add a large ice cube. Combine all ingredients and stir to mix. Garnish with a lemon peel, expressing the oils onto the surface of the drink when peeling. 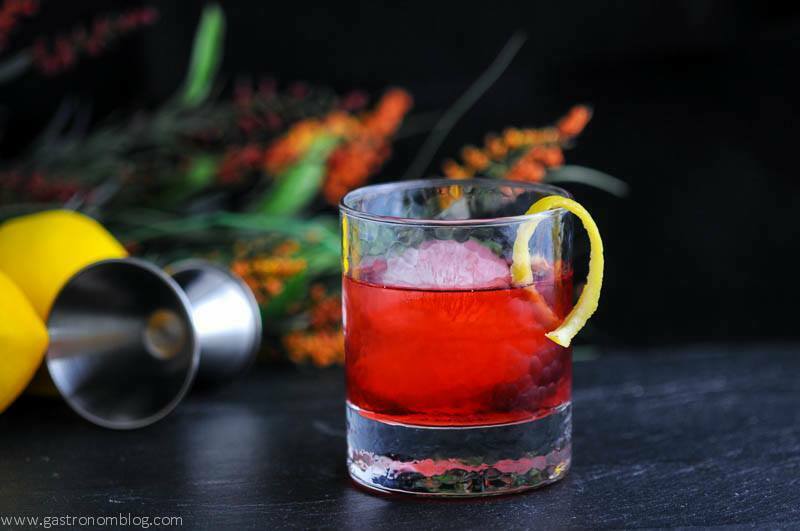 PIN THIS BOULEVARDIER RECIPE FOR LATER! Thanks so much, it’s appreciated! I’m not a fan of whiskey, but this looks so good! Ohhhh. This looks good. 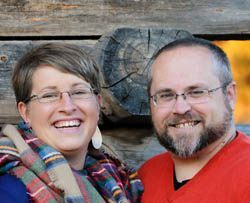 My husband is an Old Fashioned man at heart but this might be a nice change! This is a great classic cocktail, which would be a great accompaniment to an Old Fashioned! Oh my gosh you are totally hitting my favorites with the Negroni and the Boulevardier!! My version of the Boulevardier adjusts the ratios slightly weighing in a little heavier on the Rye, I believe. Anyway, glad to see some rye cocktail love! Thanks! 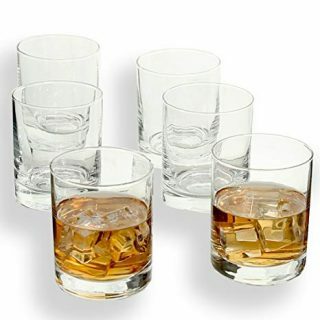 Yep, there are some different ratios on the rye – and it would be great with a little more rye as well! 🙂 Cheers! My husband is a bartender and he never makes drinks like this, but I wish he would!! This is DEFINITELY my hubby’s kind of drink!! Love that color and the pop of yellow with the lemon peel. So elegant! Thanks! It’s really a great classic cocktail!